An author’s use of figurative language (metaphor, simile, personification), allows readers to experience descriptions in a way that enlivens characters and situations by bringing imagery to life. This lesson takes students on an exploration into the novel to discover and appreciate this richness and then provides the opportunity for learners to exercise their own descriptive writing skills. Learning Objective: Students will identify and categorize the three types of figurative language used throughout Bridge to Terabithia then create original, illustrated examples. Note: This lesson can be used either while reading the novel or upon completion. 1. Discuss with students the three types of figurative language; simile, metaphor, and personification. Remind them that metaphors directly compare two seemingly opposing objects as do similes which use “like" or “as". Personification gives human qualities to non-human entities. At this point, you may want to write an example of each type on the board for further discussion. Personification: Page 39 (Scholastic edition), “…Here where the dogwood and redbud played hide and seek between the oaks and evergreens and the sun flung itself in golden streams through the trees to splash warmly at their feet." Metaphor: Page 13, “Jess wouldn’t argue that, but he saw her as a beautiful wild creature who had been caught for a moment in that dirty old cage of a schoolhouse…"
Simile: Page 38, “He was drifting, drifting like a fat white lazy cloud back and forth across the blue." 2. Students should label three sheets of notebook paper with each type of figurative language then divide the paper in half down the middle (front and back if necessary). Have students write at least five different examples in the left column of the appropriate paper. Be sure they leave several blank lines between each entry for their responses to be written in the right-side column. 3. In the right-side response column next to each figurative language entry, students may answer the following questions: What two things are being compared? (simile and metaphor) What feeling does the figurative language give you? Is it positive or negative? How does the entry help you to form a vivid mental picture? 4. Using the white drawing paper, students write an original description using each type of figurative language. They may want to spice up an existing passage from the novel, describe themselves, or objects they see around them. 5. Students should then illustrate their figurative language with a drawing that creatively represents the comparison. Assessment: Points may be given for each correctly identified form of figurative language and corresponding response. (I often find it difficult to objectively evaluate such subjective material as a student’s personal response, so I will typically give them full credit if they demonstrate a sincerely thoughtful response). The original product and illustration could each be assigned three points, two for an accurate figurative language example and one for the illustration. Feel free to modify scoring to suit your individual needs. 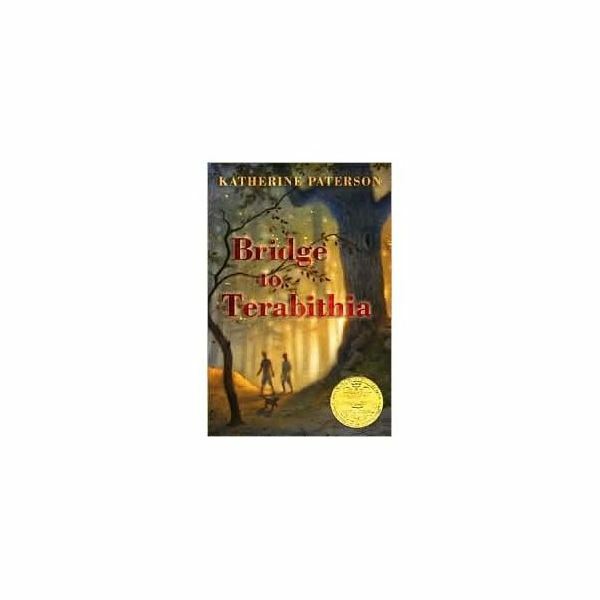 The series of four lesson plans will help you teach “Bridge to Terabithia” to your elementary class. The book is suitable for grades 3-5. Student Created Multiple-Choice Question Lesson for "Bridge to Terabithia"